Once a month, myself & Aaron make an effort to have ‘date night’. We might go out for a nice meal, or go for a couple of drinks at the local pub. You don’t have to spend a fortune to spend some quality time with your other half! December is such a special month and I find it really romantic! So here a few ideas of what you can do with your loved ones this month, without necessarily breaking the bank. 1. Attend the local Christmas markets! Drink some hot chocolate, or maybe a festive cocktails whilst browsing the gorgeous, festive markets. 2. Movie Marathon: This will obviously be all Christmas films! My choices would be; Elf, Love Actually and Muppets Christmas Carol. Cuddle up on the sofa with your favourite beverages and a good selection of Christmassy treats. 3. Outdoor Skating Rink: I love ice skating, i’m not good at all and end up on me’ arse more than anything else, but it’s so much fun! 4. Christmas Baking: Aaron & I are a huge fan of sweet treats and he always like it when I do some form of baking, so why not do it together! Maybe make some festive gingerbreads or yummy mince pies!? 5. Build A Blanket Fort: Light up the Christmas tree, turn off all other lights, get your favourite drinks and snacks and lay down in a sea of blankets. Maybe watch your favourite Christmas film or binge-watch a series on Netflix. 6. Watch The Christmas Pantomime: I used to love the pantomime when I was a kid and still do now, at 23! Why not find out what your local pantomime is this December and give it a watch. You’ll be booing and hissing along with everyone else before you know it! HE’S BEHIND YOU! 7. Go Sledging: We do this nearly every year, well, the years we get snow here in the North West! We get all wrapped up and spend a couple of hours in the freezing cold. Race each other to the top or climb on the same sledge together and try to stay on the whole way down the hill. A lot harder than it sounds! 8. Decorate The House: This is actually one of my favourite things to do in December with Aaron. We put on our Christmas playlist and get the house kitted out ready for Christmas. If you read my previous post, you’ll know that the day we did this, this year, was EXTRA special as we got engaged! *screams with excitement*. 9. Treasure Hunt: Why not create a treasure hunt right from your own home? Leave clues, leading them to little treats and surprises around the house. 10. DO YOU WANNA BUILD A SNOWMAN?! Sorry, I couldn’t resist. Again, every year when it snows, Aaron & I go and build a snowman and throw ourselves down to make snow angels. It’s our little tradition and we always have so much fun. What is your favourite thing to do on date night? What would you LOVE to do for your next date? I’d love to know! 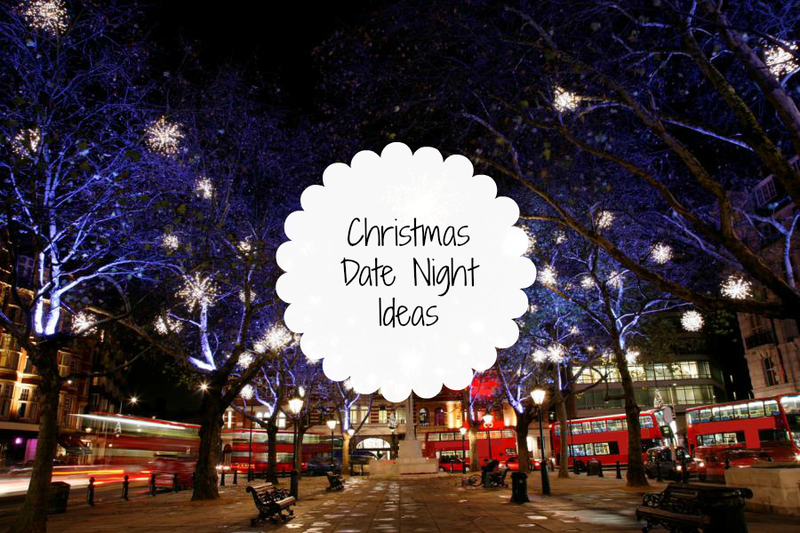 Tags: 2015., Blogmas 2015., Blogmas., Christmas., Date Night. 10 Things Women Wish Men Knew.